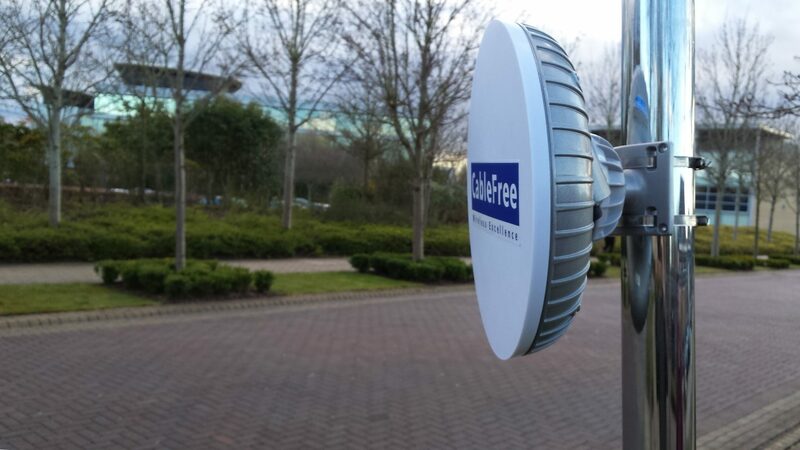 CableFree Low Latency versions of Microwave links uses Low Latency Technology, with absolutely minimal delay between packets being transmitted and received at the other end, except the Line of Sight propagation delay. The Speed of Microwave propagation through the air is approximately 40% higher than through fibre optics, giving customers an immediate 40% reduction in latency compared to fibre optics. In addition, fibre optic installations are almost never in a straight line, with realities of building layout, street ducts and requirement to use existing telecom infrastructure, the fibre run can be 100% longer than the direct Line of Sight path between two end points. Hence CableFree Low Latency Microwave products are popular in Low Latency Applications such as High Frequency Trading and other uses.